It was an easy process, but a little time consuming. I think she has a personality now, don’t you? ***Most of these photos were taken with my phone. and black for the base. I took the picture after I started painting, but you get the idea, right? You can also see the metal bar, where the top of the mannequin body fits to the base. 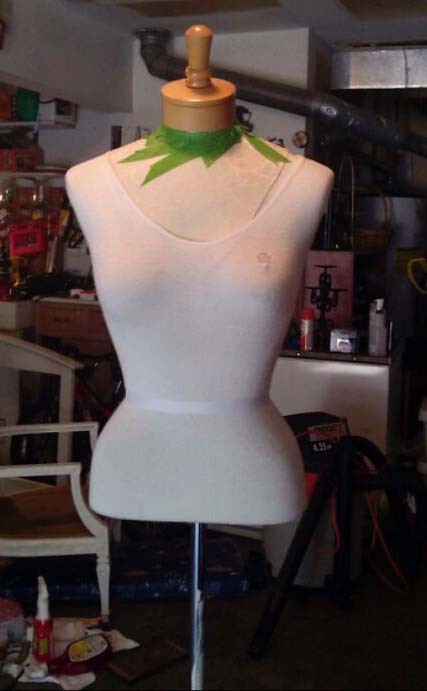 I found this mannequin at a warehouse many years ago that sold mannequin parts – this is a great way to keep the costs down. The top was a Talbots retired mannequin. Probably because of the hole in the fabric. The base was from another mannequin. 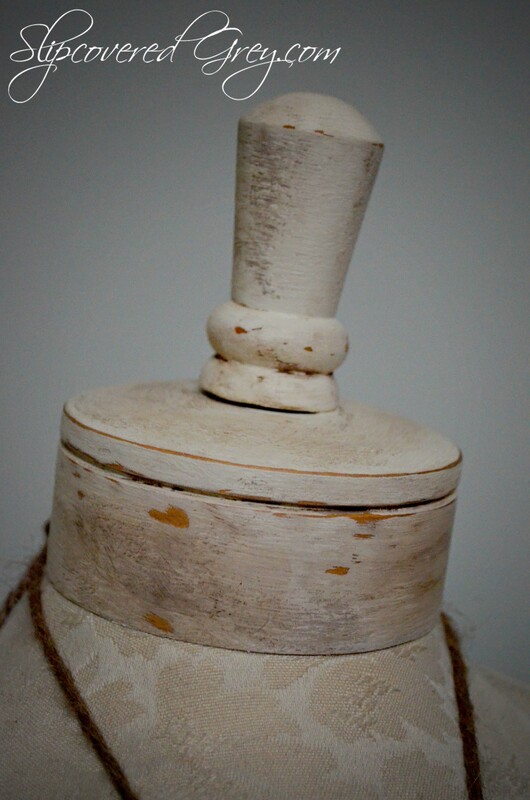 Annie Sloan came to the rescue again. I used Old White (ASCP) for the mannequin base, metal bar, and head piece. After two coats of paint, I distressed the wood base and head/neck. Annie Sloan Dark Wax was then applied. 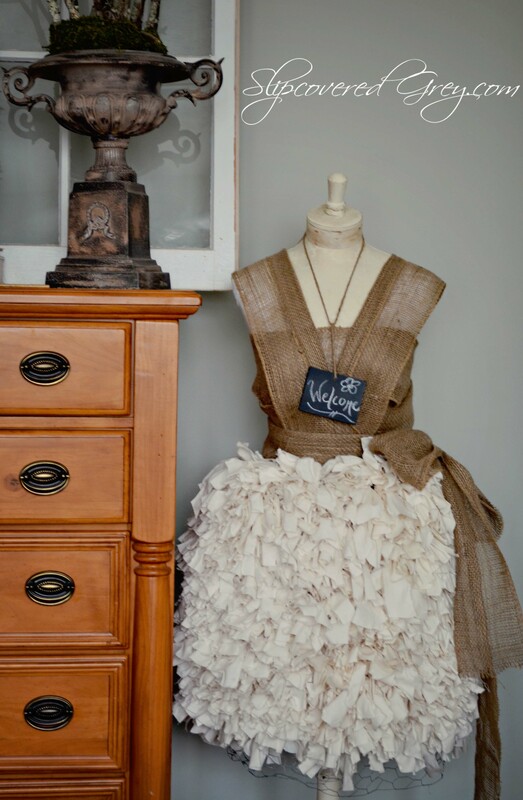 The dark wax gives that worn out, vintage look. It also creates texture and dimension. wrapped it around the mannequin body. This is demonstrated for you on a different mannequin, but I hope you get the idea. 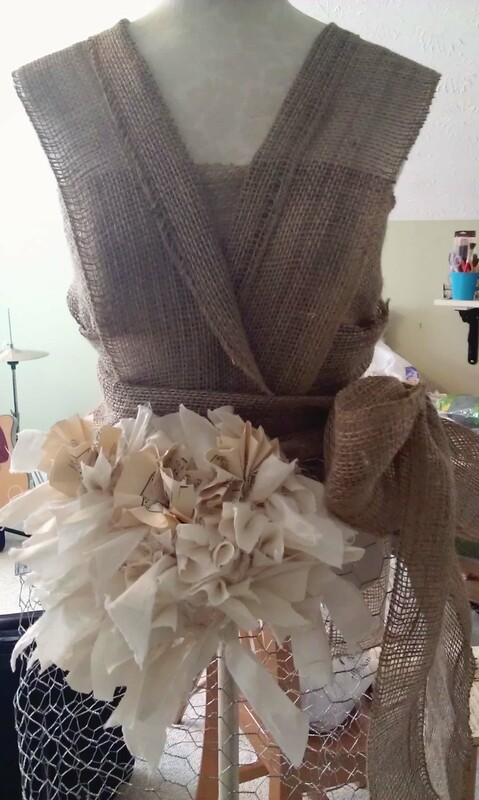 On the back side of the mannequin pin burlap to form. 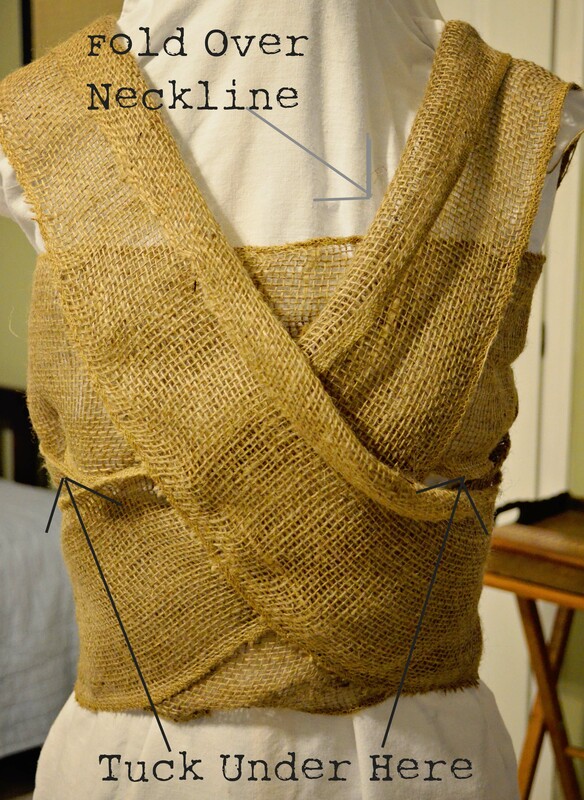 (Position burlap as though you are creating a halter top). 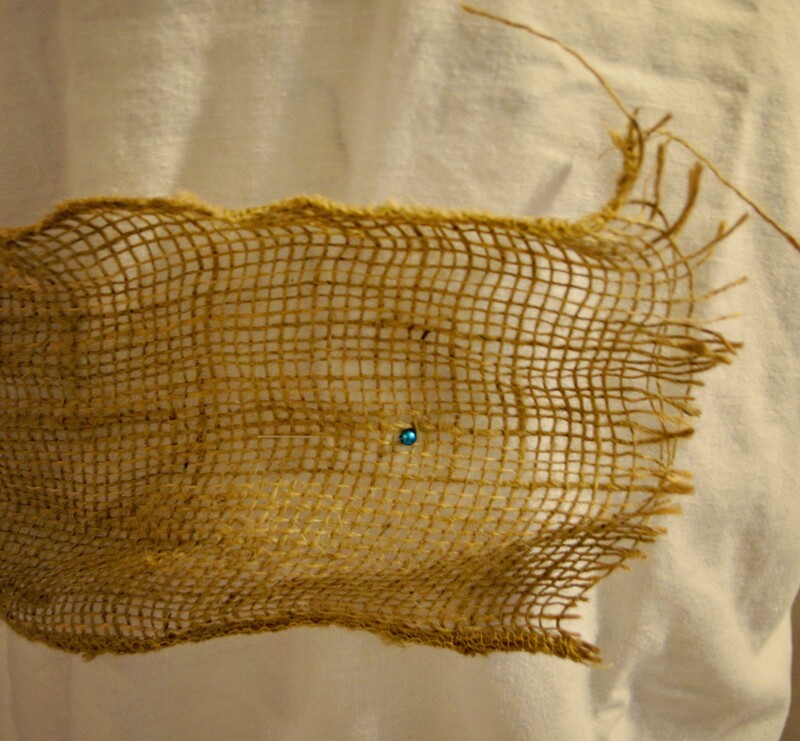 demonstrated with a colored pin for visibility. Wrap around to the front. and back with an angle. Wrap again forming the second layer below the top layer. 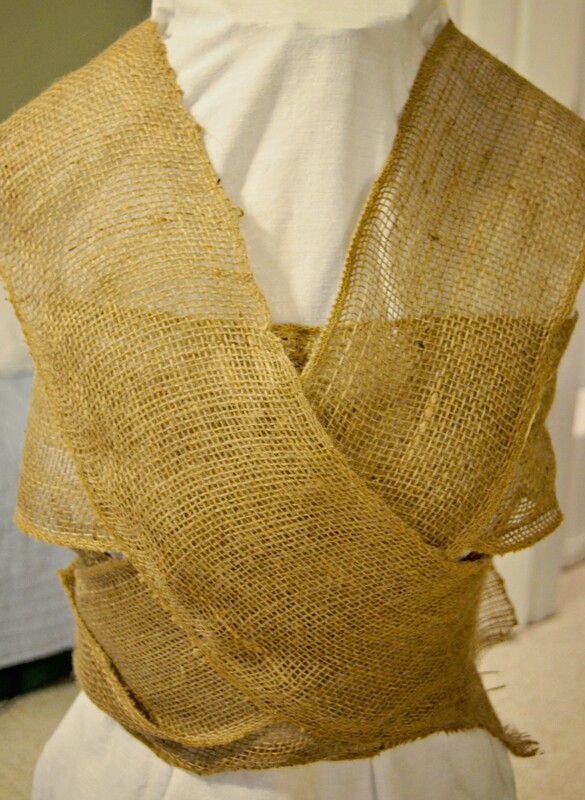 After wrapping to the center of the back, bring the burlap over the left shoulder. Over the front, wrapping to the back again. 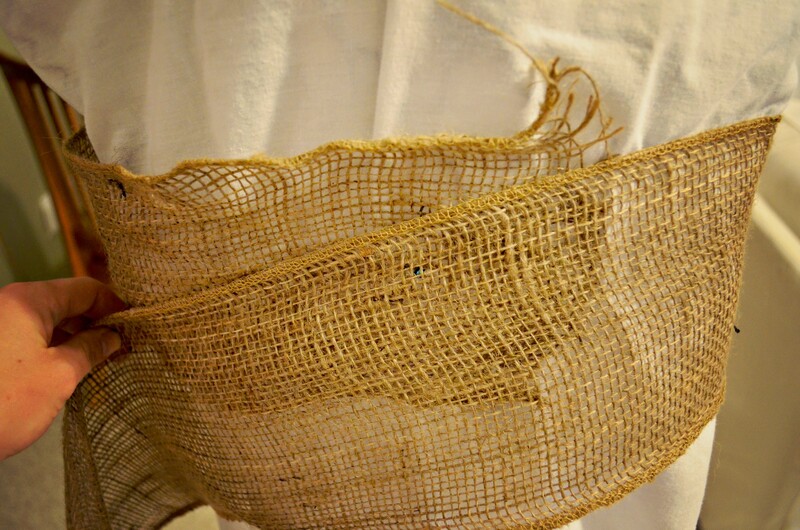 You may need to pin here and there to keep the burlap in place. Just make sure the pins are hidden. 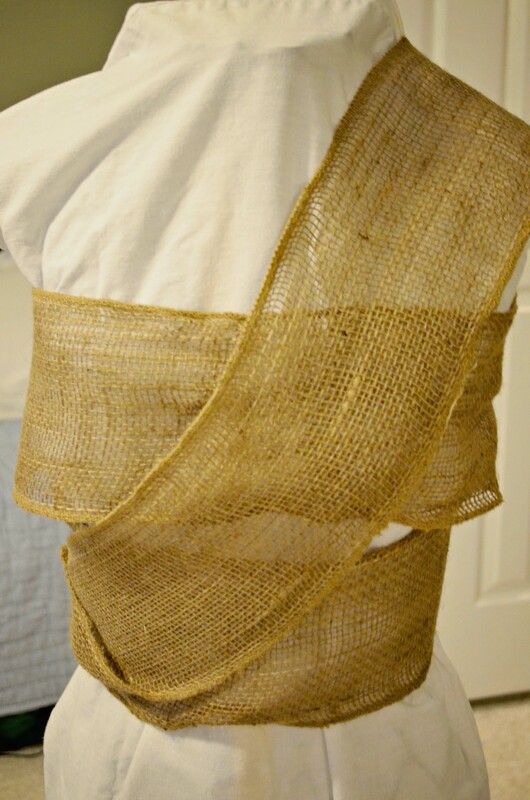 Then wrap over the right shoulder and down the front wrapping to the back again. Here is a view of the front. Pin in place and finesse to your liking. 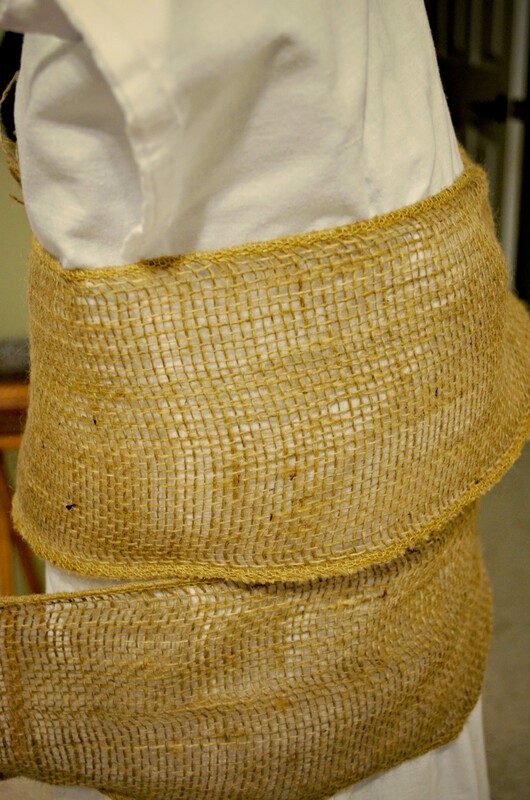 Wrap burlap around waist and create a big bow at one end, this will give a nice clean finish. 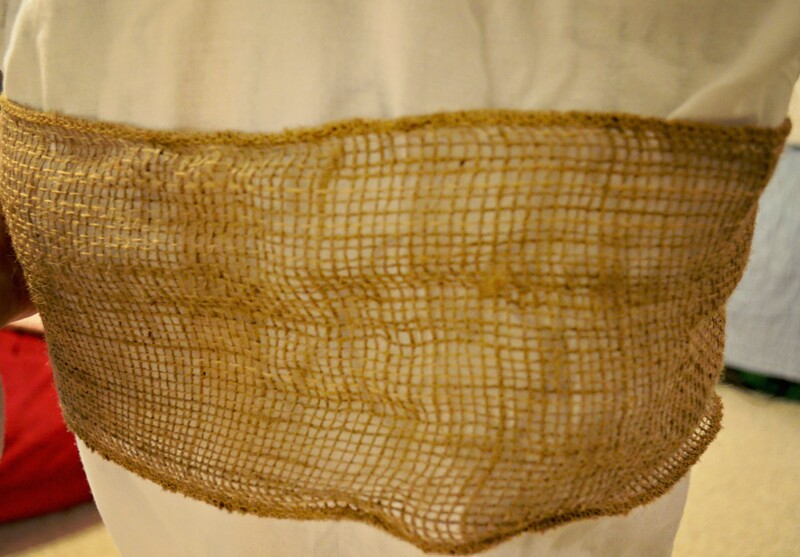 Here you can see the bow and the starting of the chicken wire for the skirt. 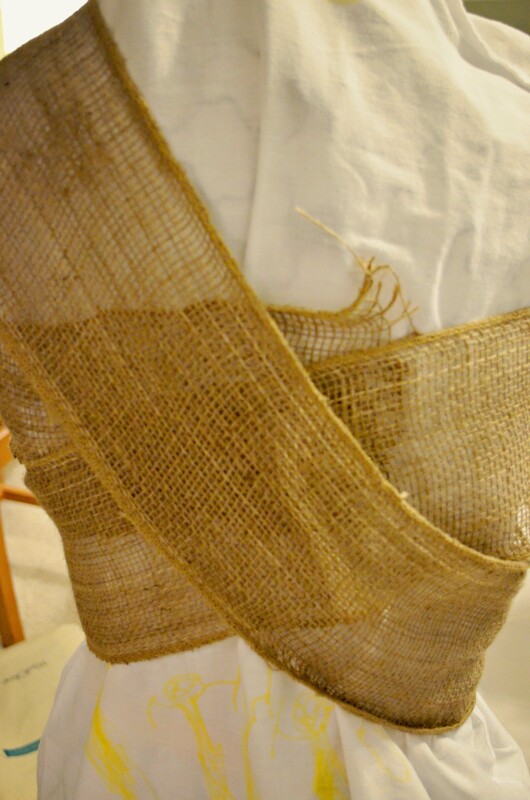 In the next post, I will share with you how I made the skirt. Wow, you’re mannequin looks fabulous! I’m looking forward to seeing how you did the skirt – lovely! Love it, Angie, can’t wait to see the rest!